Ideal for experienced graduates with substantial teaching experience, this short course is a route to gain Qualified Teaching Status for the Secondary age range through an assessment of your current teaching. You must be based in a UK school, teaching the English National Curriculum. Supported by your school or college, the course allows you to demonstrate that you already meet all the QTS standards. A successful assessment leads to a recommendation for Qualified Teacher Status (QTS)* and allows you to begin your Newly Qualified Teacher (NQT) induction. Separate Assessment Only courses are available for Primary teaching and Early Years teaching. The Assessment Only Route to Qualified Teacher Status (QTS) allows you to demonstrate that you already meet all the Teachers' Standards for Secondary teaching. It does not include any training and is only suitable if you are currently working in the UK as an unqualified teacher. The assessment takes place in the school or college where you are currently employed. Full support by your employer is essential to ensure the assessments can take place. If you your setting is based further than 50 miles from Nottingham please contact us to discuss if we can support you before making an application. The assessment will be completed within a maximum period of 12 weeks. If a longer period or training is required, then an alternative training programme can be advised. As school observations are required, the assessment can not take place over school holidays. Therefore, assessments will not take place until the Autumn term for any applications made after the Easter period. This course does not currently offer placements. Applicants must have access to a UK teaching environment where they can be assessed prior to applying. 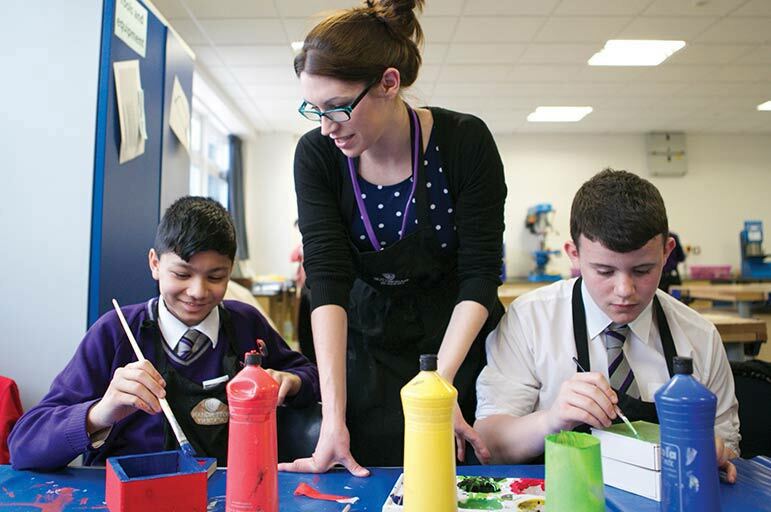 As an unqualified teacher you may be able to teach in the independent sector, but Qualified Teacher Status is essential to teach in a state-maintained school in England and Wales. Two years’ work experience in a related role; current employment in a related field. You must provide satisfactory Disclosure and Barring Service and Prohibition Order checks as part of the assessment process. If your application is successful, the initial interview and observation will take place in the school/college where you are currently employed. provide original copies of relevant qualifications. We can advise you of how to complete your portfolio before attending the interview. If you apply for a teacher training course then you must pass professional ITT skills tests in numeracy and literacy as part of the application process. You must pass these tests before you start the course. Registration and booking for the skills tests is available on the Department for Education website. Applicants must be based in a UK school, teaching the English National Curriculum. Applications should be made directly to the University using the Apply button above. Please read our supporting information document for your Assessment Only QTS. We are committed to promoting a diverse and representative body of teachers. We welcome applications from under-represented groups, such as male applicants, applicants from BME communities, mature applicants and those with disabilities.